Interact is a values based not-for-profit organisation, existing for over 25 years to champion and support people with disability in their choices. Our network means that we have on the ground local knowledge plus the resources and infrastructure to invest in our people. We intentionally recruit and retain people that have the required skills but most importantly, align, relate and demonstrate our purpose and values. Our team are dedicated, motivated, dynamic and professional. Their hands on approach allows us to provide flexible and tailored services. As a Disability Employment Service provider we aim to work with organisations to create greater diversity in the workplace and build more inclusive and supportive communities. 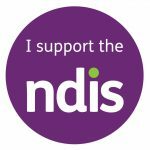 As an NDIS provider, we work with service providers and Local Area Coordinators to deliver individualised support services for people living with a disability, under the NDIS, SLES and TAC programs. Complete our Enquiries and Referrals to Interact Australia or contact us on 1300 FUTURE to see how we can work together.